Find everything you need to assemble the most bow-tastic party favors! Includes One 48 piece Minnie Mouse Giant Party Favor Package. 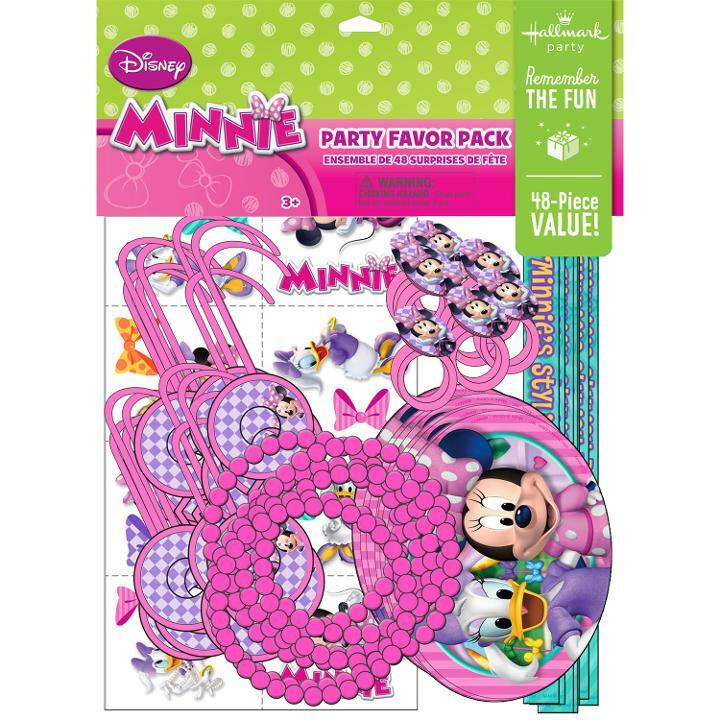 Each package includes the following Minnie Mouse Party Favors: 8 bead bangle bracelets, 8 stickers, 8 rings, 8 cards with one character tattoo and one icon tattoo on each card, 8 play glasses, and 8 activity sheets. This is a licensed Disney product.